Doug Morrissey’s new book has several preliminaries. As well as the standard Acknowledgments and Preface there is a heartfelt ‘In Memoriam’ recognising the author’s debt to John Hirst, his teacher at La Trobe University and later thesis supervisor, friend and editor. Then, Morrissey shares a two-page personal journey ‘Ned and Me’. Here we learn the author may be related on his mother’s side to Joe Byrne, a key member of the Kelly gang, and how his growing interest in Kelly led – from what he called his liberation from a youthful romanticism of hero worship – to historical truth. Predictably, my own Kelly selfie is archival. There is always a story behind the sources behind the story. As for myths, the most colourful concerns the legendary Harry Nunn (1916-2004), the first Keeper of Public Records in Victoria in the 1970s and someone described by his successor, Chris Hurley, as ‘widely hated both within and without PROV and [who] had been unable to organise the office into any sort of routine’, this at a time when everything ‘was personalised and idiosyncratic’. Years ago, I was told by an ex-PROV archivist that, during Nunn’s term he stored the key PROV Kelly documents in his office safe for motives we must assume were official, although certainly during his tenure he did publish at least one book on bushrangers. 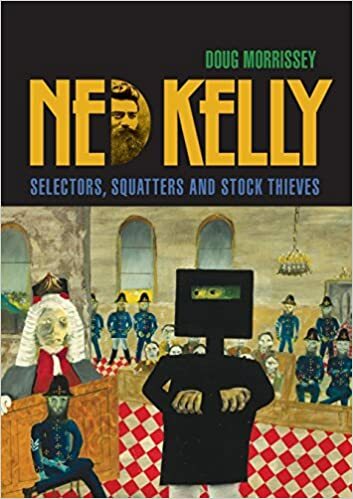 Ian Jones (Ned Kelly: A Short Life, Preface) has written of Nunn’s work collating five cheese boxes of ‘Kelly Papers’ at a time when the state archives was run from a basement of the then Public Library of Victoria. Today, the relevant series description (VPRS 4965) simply states: ‘It would appear that the original file order and file construction has been completely removed. All papers have been detached and, without lengthy investigations, the original order is possibly lost.’ Other official papers (VPRS 4966) ended up in the hands of a collector and had to be recovered by purchase at auction in 2003. Still other key documents have never resurfaced. Ellen Kelly’s land selection file is missing and, as Morrissey notes (p. 184), ‘all knowledge of her selection has had to be gathered from alternate sources’. Film archives also have a bit part. Australia’s first feature film, produced in 1906, was The Story of the Kelly Gang, thought to be the world’s first feature length narrative movie. It was judged so significant it was inscribed on the Australian Memory of the World register in 2004 and the international register in 2007. It made a fortune for its backers, and its impact was immediate, in all sorts of ways. Reports of crime and censorship followed screenings of the Kelly film around the country. In May 1907, the film inspired five local children in the Victorian town of Ballarat to break into a photographic studio to steal money, after which they bailed up a group of schoolchildren at gunpoint. In April, the Victorian Chief Secretary banned the film from Benalla and Wangaratta, two towns with strong Kelly connections. I’ve thought for years the Kelly saga is one of the great local examples illustrating the inherent structural bias in archives. As family historians know, there is documentary bonus in having a soldier (especially one who was killed on active service) or a criminal in the family tree. As the renowned Oxford historian (and sometime archivist) VH Galbraith put it in his little classic, An Introduction to the Use of the Public Records (OUP, 1934), ‘In so far as a man could keep clear of the king, his history escapes the records’. 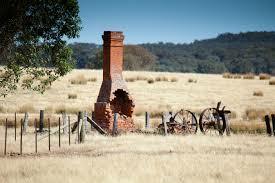 There is a vast array of primary sources about Ned Kelly, mostly because he kept breaking the law. Yet, apart from some Lands Department files, we have practically nothing on the neighbours Kelly preyed upon. That acknowledged, it is also hard to think of a better instance than the Kelly phenomenon where verifiable historical fact and deeply held belief have intertwined and morphed down the years, capturing, feeding the imagination and sharply dividing historians, creative artists, republicans and a million others. The Kelly legend’s reception parallels that of the Anzac legend in so many ways (including commercial and political exploitation) and, while there have been no government sponsored and funded Kelly anniversaries comparable to those marking the World War I centenary, since his execution in 1880 there seems to have been one continuous ‘Festival of Ned’. The array of websites is almost incomprehensible, as is the never-ending interest in its endless minutiae. Did you know that people with Kelly tattoos ‘are nearly eight times more likely to have been murdered’? And anyone who has left the Hume Highway to visit Glenrowan will also know that the crassness of Australian kitsch has no limits. One final archival point. Morrissey tries valiantly in the book under review to counter myth with documentary evidence, though it is said slaying a dragon is easier than killing a myth. Such intent rarely converts rusted-on supporters – and even many of the uncommitted – when the medium is a small print run of monographs, as with Morrissey’s book. Even so, Morrissey’s – or his publisher’s – choice for the book’s cover of a painting from Sidney Nolan’s Kelly series is puzzling. The legend started well before Kelly’s capture, but his final moments before being hanged, more precisely his presumed final words, provide another instance of the challenge. Kelly said something, perhaps ‘Such is life’, perhaps ‘Ah well, I suppose it has come to this’. According to Ian Jones’ biography there were 27 official witnesses, while in 2016, Monash University scholar Dr Stuart Dawson put the number of ‘participants and observers’ at ‘more than forty’, though only about ten were plausibly within earshot. By carefully analysing and comparing the paper trail showing how various accounts (and mistakes) came to be made and later recorded, Dawson’s finding is there was, at best, a mumble or sigh. Definitely ‘no famous last words’. Since completing an honours thesis in 1977 on Ned Kelly’s sympathisers and a doctorate on the social historical context of Kelly’s life in north-eastern Victoria in the 1860s and 70s, Doug Morrissey has been trying to rebut the myth of Kelly as a Robin Hood figure victimised by the police and supported by the local population of struggling selectors with strong Irish sympathies. His PhD, completed in 1987, has now finally been rewritten as the book under review. In 11 chapters, heavily based on local and regional newspapers and on police, court and administrative files, the Police Royal Commission of 1881 and a myriad of secondary sources, Morrissey assesses the social, economic, religious, community, legal, and demographic contexts of the Victorian north-east during the decades preceding Kelly’s capture. Pursued through the chapters is the validity of justifications Kelly made to the public (e.g. in the so-called Cameron and Jerilderie Letters of 1878 and 1879), supporters made to journalists, and sympathetic writers made in biographies and histories. A set of secondary targets include the relevance of Robin Hood-social banditry models, the Eureka Stockade as a rebellion template, and rural protests evident back in Ireland. In one sense, Morrissey’s is an unusual approach – analysing the historical contexts to argue that they were not relevant in explaining and excusing the actions of a criminal gang and its leader. Reading this book, it quickly becomes clear that it is the second half of a ‘Life and Times’, and should be read in conjunction with Morrissey’s biography, Ned Kelly: A Lawless Life (Connor Court, 2015). I have not looked at the earlier volume, but found the author’s 2017 Quadrant article, ‘Time to bury the Ned Kelly myth’, adequately distilled the two-part argument, discounting the times and judging the life. Morrissey concludes that the factors shaping Kelly’s behaviour arose from his family environment and personal character, far more than from the pressure of social and other circumstances. Ultimately, it was ‘more likely a lifestyle choice’ (p. 185). He strongly downplays the idea that Kelly sympathisers constituted a social movement: they numbered only around 300 (p. 299). He explains why 36 000 signatures on a petition to commute Kelly’s hanging were insignificant. He concedes there were a few police who were ‘overzealous in the performance of their duty’ (p. 278); ‘of course, some policemen frequented pubs and brothels in their off duty hours’ (p. 80). And so on. It is hard not to be convinced, certainly by the analysis of historical context, and decidedly by the judgement: the man was a multiple murderer and circumstances may help explain but never exculpate. Even so, for me at least, aspects of the book grated. In every chapter and the Conclusion, the author repeatedly alludes to the opinions of Kelly biographers and historians, all of them, it seems, propagators of Kelly myths. One senses the opinions of these people have deeply irritated Morrissey for many decades, but with a single exception (p. 43), none of them are named, referenced, or listed in a bibliography. There is no need, we are told, because these names are ‘well known and need not be repeated here’ (p. xxiii). All damned via anonymity, in the same way, one might say, Kelly supporters argue the police harassed poor Irish selectors trying to make a living on the land. Morrissey’s strongest emotions are revealed in the terms of his analysis. The Kellys and their network of extended family and other supporters he describes as flash bush larrikins, career criminals, cold-blooded murderers, bullies, terrorists, jealous of others’ achievements, quick to avenge slights and punish informers, given to gratuitous violence and cruelty to animals, and harboured within a shanty culture of gamblers, drinkers and promiscuous women. The community they preyed upon were the silent majority of pioneer battlers, respectable, decent, industrious, law-abiding, and honest citizens. The lightning rod for Greta community disruption and angst was the criminal underbelly, the thieves, larrikins and shanty layabouts. Specifically, Ned Kelly, his Greta Mob of horse and cattle thieves and his rowdy shanty family, opportunist criminals preying on those around them. Decent-living selectors were forced to endure a crime wave for more than a decade before the Kelly outbreak. Again, what readily springs to mind is the violence and intimidation Melbourne’s African gangs visit daily on innocent people living in working-class suburbs, many of whom fear for their property and their lives. The police have been powerless to stop the crime wave, and as with Ned’s Greta Mob crime spree, the African gangs fear neither the police nor the legal system. My last reservation comes back to sources. There are no footnotes or endnotes in the book, Morrissey explaining (p. xxiii) these can be found in his 1987 thesis, while conceding the reference numbers will be out of date. The author says this is not an issue because the ‘description I provide should still be adequate’. Few will agree. That and a couple of copy editing slips (e.g. 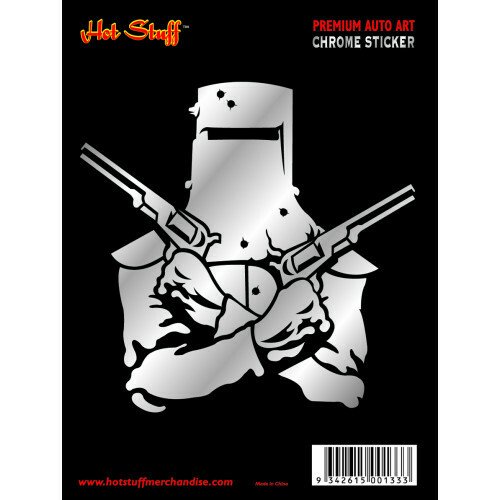 the AIF was an imperial not an infantry force) detract. On the other hand, there are excellent maps, and a strong well supported convincing argument. I suspect, even so, that the Kelly myth will continue to flourish. * Michael Piggott AM is Treasurer of the Honest History association and an archivist with many years’ experience. He has a chapter in The Honest History Book. Michael is currently based at the National Library of Australia as a Senior Research Fellow, Deakin University (ARC Linkage project LP 170100222). For his other work for Honest History refer here or use our Search engine.